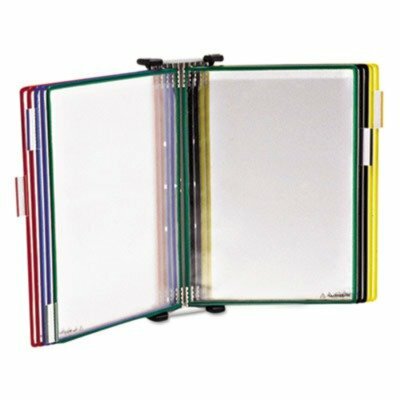 Color-coded display pockets hold letter size sheets; two viewing sides per pivoting pocket. Expandable by mounting units side by side. Mount on desk base of Desktop Starter Set. Tarifold, Inc. Wall Unit Reference Starter Set with Display Pockets. Color-coded display pockets hold letter size sheets; two viewing sides per pivoting pocket. Expandable by mounting units side by side. Mount on desk base of Desktop Starter Set. Tarifold, Inc. Wall Unit Reference Starter Set with Display Pockets. If you have any questions about this product by Tarifold, contact us by completing and submitting the form below. If you are looking for a specif part number, please include it with your message.